While the most noticeable change was the metal, I think you can also see a lot of differences in the skin tones and the horns. Finally, there was one more fix that was required, and that was the basing. 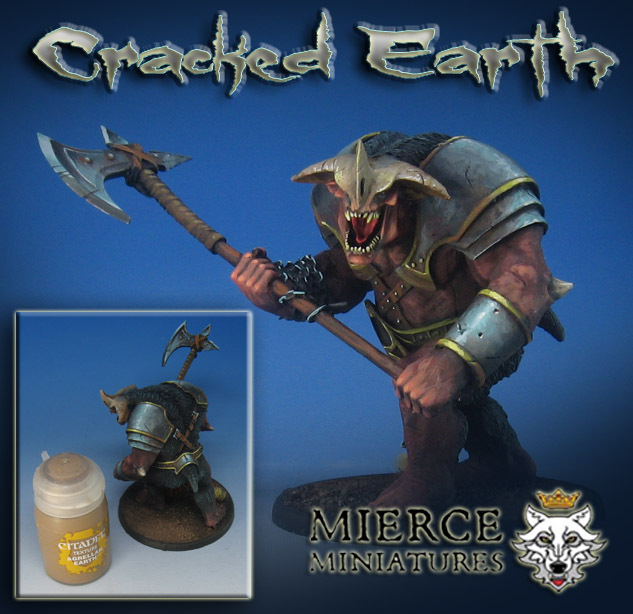 The original request was for a cracked earth look, but plain rocks and gravel is all that had been done. So, I thought this might be an interesting test of some GW material that I had gotten for my Bolt Action figures. I had tested this on some much smaller bases, and I was very surprised at how well it worked. If you apply it in large blobs, you will get those nice large cracks. When you thin it down a bit and apply it a little more lightly around the edges of your deep cracks, it starts to look even more interesting and natural!